A dedicated group of volunteers with Organizing for Action gathered outside of Rep. Tom McClintock’s (R-CA) Granite Bay District Office to present him with the Unicorn Award for denying the existence of climate change. Led by Organizing for Action’s Climate Change lead Peter Kirkup, residents of Congressman McClintock’s district signed in at the congressman’s office to let him, and his staff, know that his constituents do care about fighting climate change. McClintock has had a long history of denying the existence and evidence of climate change. His refusal to believe in the overwhelming science that the earth’s climate is changing from man made green house gases is synonymous with believing that unicorns exist. Regardless of what the ultimate causes are of climate change, McClintock refuses to even consider prudent government measures to cope with the effects of climate change. Organizing for Action volunteers outside Rep. Tom McClintock’s office in Granite Bay. California is in a particularly precarious situation in that small changes to the climate can have tremendous repercussions. McClintock who spent 22 years representing southern California in the state legislature should understand how vital northern California water is for the economic engine of Los Angeles. If climate change reduces sierra snowpack, San Joaquin farmers and southern California are going to feel the pinch of reduced water deliveries. If rising sea levels swamp the fragile Sacramento-San Joaquin delta, water exports to southern California could be stopped. Changes to multiple environments have already been documented in California. But anytime McClintock doesn’t like the results of scientific evidence he calls it junk science. Even California’s recently published Bay Delta Conservation Plan for restoring the delta and improving water exports to southern California has a section on modeling for climate change and its effect on the delta. McClintock just doesn’t’ deny the evidence of climate change, he is down right hostile to the whole hypothesis. For those in the liberal elite who jet to environmental conferences in Gulfstream Fives and drive around in Hummers singing the praises of hybrids and bicycles, the Left now sells indulgences – you can actually calculate your carbon sins on-line and they’ll gladly tell you how much money to send them (all major credit cards accepted) to assuage your conscience. So when the global warming alarmists predict worldwide starvation, they’re right. They’re creating it. Now, I’m just thinking out loud here, but do you think it’s possible that as the sun gets slightly warmer, the planets do too? Now before the nation follows California off the cliff, perhaps we should first ask how these policies are working in California. Volunteers sign in before presenting Rep. McClintock his Unicorn award. History is judging McClintock the loser in his prediction that California policies are driving the state off the cliff. As of August 13, 2013, the Sacramento area has not had one Spare the Air Day all summer. The tougher environmental regulations for cars, trucks and industry are providing cleaner air. Cleaner air also means less green house gasses and fewer asthma attacks for our children. Most states want to follow California over that cliff. As California’s economy continues to implode, I think we’re going to see Americans rapidly coming to the conclusion that this isn’t the smartest policy to pursue. – McClintock, 2009. Well, sorry Tom, California’s economy has stopped imploding and started rebounding, no thanks to your “do nothing” congress. More states and countries are seeing that implementing policies that reduce green house gas emissions won’t collapse the economy and will actually create industry and jobs. Fortunately, not all elected officials stick their heads in the sand and pretend the world is not spinning or that unicorns exists. Business is taking note and preparing for climate change. A key industry for discerning risk is the insurance industry. California’s Insurance Commissioner Dave Jones is leading states requesting that insurance companies survey their risks under potential climate change. SACRAMENTO – Insurance Commissioner Dave Jones today announced that the Connecticut and Minnesota Departments of Insurance have joined with California, New York and Washington Departments of Insurance to require insurers to respond to the Climate Risk Survey adopted in 2009 by the National Association of Insurance Commissioners. The efforts to slow or reduce climate change are inconvenient. Bigger inconveniences are prolonged droughts with no back up water supplies or flooded utilities because of sea level rise. I doubt that there is little that will change congressman McClintock’s mind on the science of climate change other than a boat load of campaign cash. What is truly criminal is that he could at least be working to help us prepare for the coming disasters if he isn’t going to try and stop it. Organizing for Action against climate change. The Republican Party is fond of reminding us that we are mortgaging our children’s and grandchildren’s future with large amounts of federal debt. The money our country will have to spend to save our coastal communities and develop new sources of clean water, all compromised by climate change, makes the national debt look like peanuts. The denial of climate change evidence and science puts our country on a collision course with catastrophic consequences that will swamp many communities literally and figuratively. 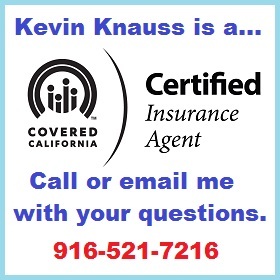 Kevin is an independent agent for health insurance in California and a Certified Insurance Agent for Covered California. CA LIC. 0H12644. Focusing on families, individuals, self employed and small business. Representing several insurance carriers plus Medicare Advantage and Part D Plans. 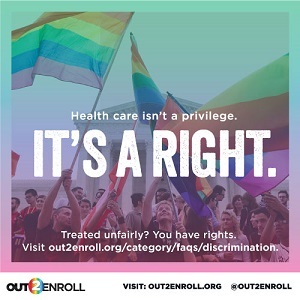 I blog on several topics to provide consumer information for people who have questions about health insurance and the Affordable Care Act. 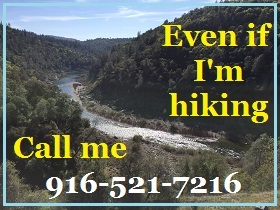 Amateur historian documenting historic points of interests on my hikes in Northern California and beyond.